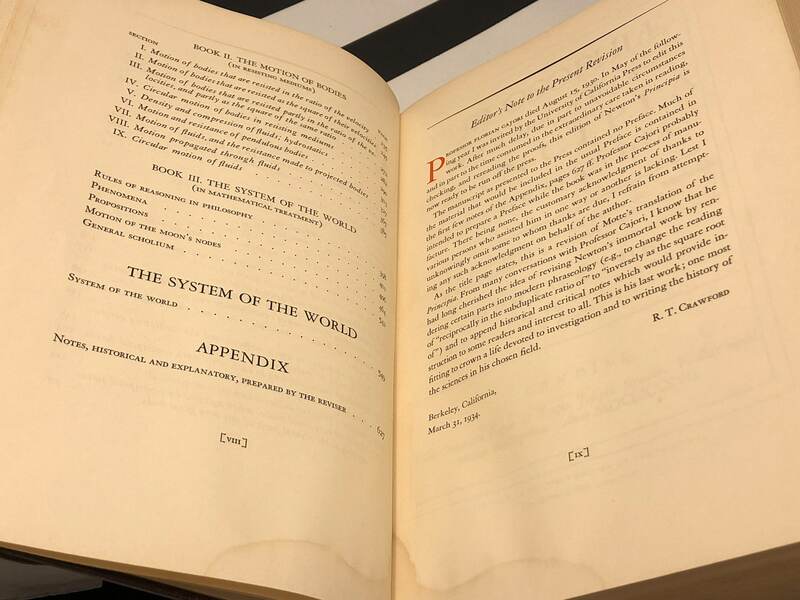 Berkeley: University of California Press, 1934. Later edition, based on Motte's 1759 English translation (of the third edition; the first edition was published in 1686.) 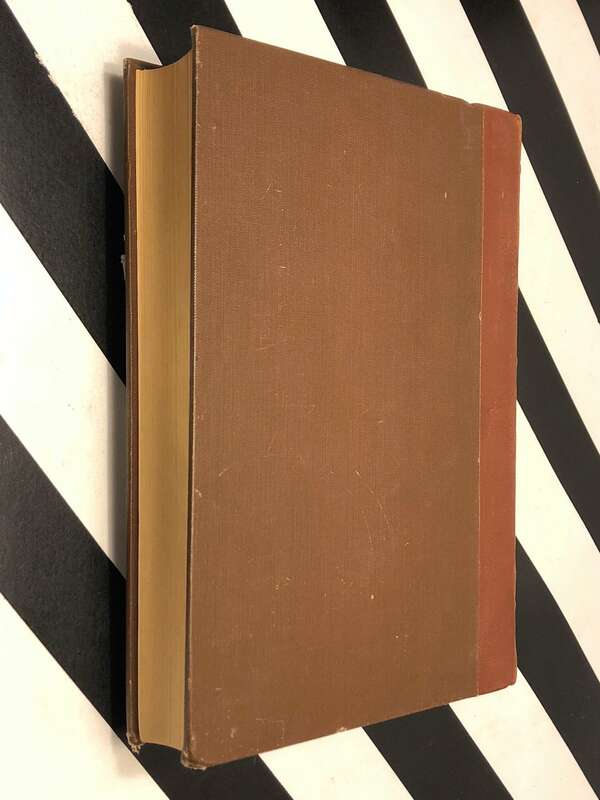 Royal Octavo bound in 1/4 calf over chocolate-brown cloth, which binding remains very strong. Xxxv, 680 pp. (appendices included). Good condition. Slight rubbing along exterior joints and lower front forecorners. 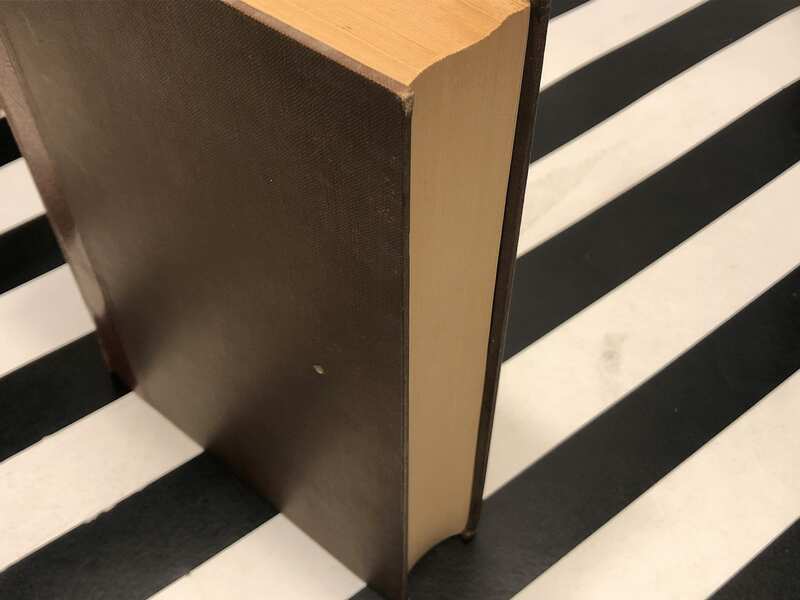 There is an inconspicuous dampstain blotch marking along the lower textblock edge; no attendant undulation has occurred. The book's interior is very clean--no markings or annotations. 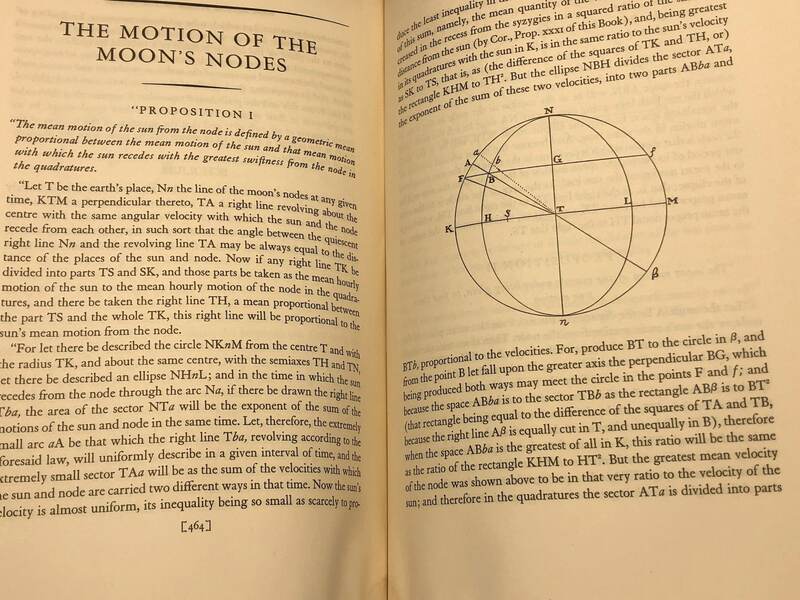 The present edition reproduces Newton's preface to the third edition, both Newton's and Cote's prefaces to the second edition, and also Sir Edmund Halley's famous 'Ode to Isaac Newton.' 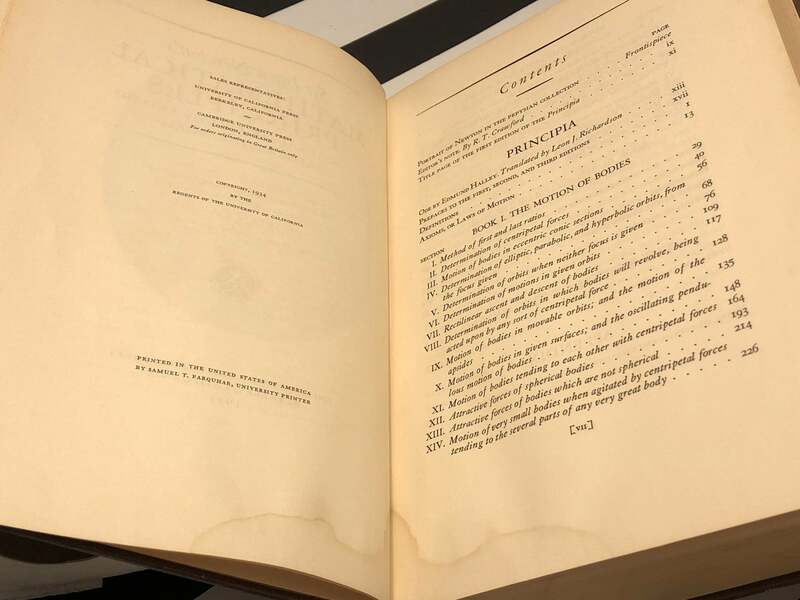 An explanatory appendix by Cajori follows the text. 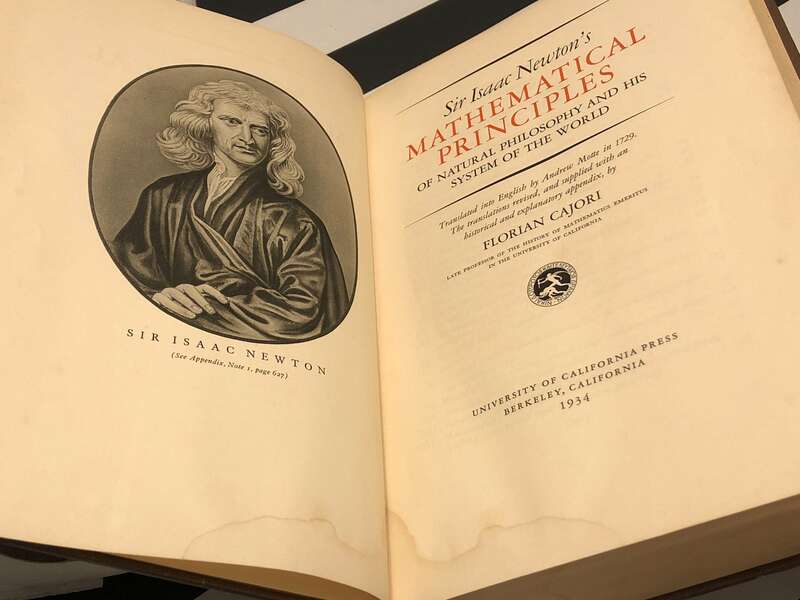 Newton's Principia is among the most influential documents of all time, and almost universally regarded to be, as Einstein put it, "the greatest intellectual stride that it has ever been granted to any man to make."